Welcome to the Factory! We invite you on a sweet journey into Wonka's famous chocolate factory, along with the five winners of the much desired Golden Ticket. Will you end up down a rubbish chute, in the chocolate river, or will you make it out the other side? 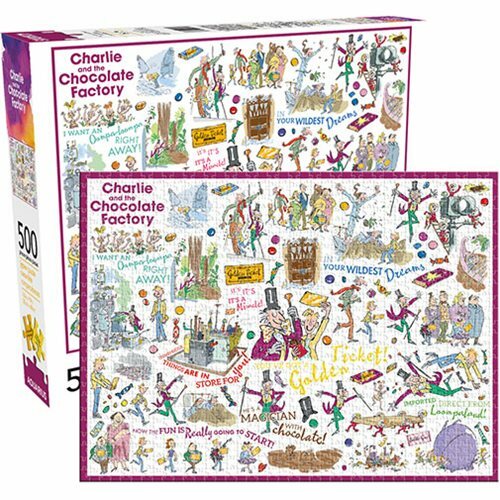 This 500 piece puzzle uses the artwork and story of Roald Dahl's globally adored book.